Terming the Congress as “casteist”, the Dalit leader said that party president Rahul Gandhi should not dream about becoming Prime Minister. 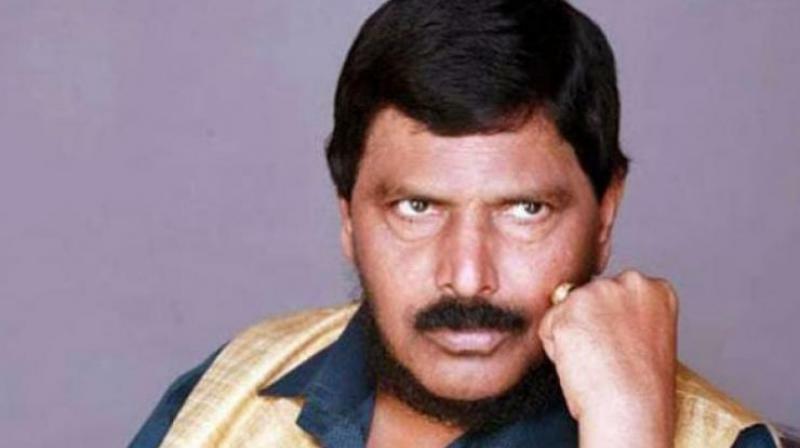 Bengaluru: Union Social Justice Minister and Republican Party of India(A) president Ramdas Athawale Monday said the Congress-JD(S) coalition government will not last long and asked Chief Minister H D Kumaraswamy to join hands with BJP for the state's welfare. Terming the Congress as “casteist”, the Dalit leader said that party president Rahul Gandhi should not dream about becoming Prime Minister. “...Kumaraswamy is upset, I request him-why are you behind Congress when the BJP-JD(S) coalition government can be formed?” Athawale told reporters here. Stating that there was such a proposal earlier, he said “Congress was clever, they supported Kumaraswamy and made him CM, but Kumaraswamy is crying, he is not happy with Congress people. So I feel that this government will not last long.” “Kumaraswamy has to come back to the BJP and if Karnataka’s development has to happen...Kumaraswamy has to leave Congress and come back. Staying with BJP will benefit as Modi ji government is coming (to power) with NDA securing over 350 seats,” he added. Asked if he would mediate between BJP and JD(S) leaders, he said after the Lok Sabha elections, “We can try, because if Modi government comes, then I doubt that Kumaraswamy will be safe (as Chief Minister)." Athawale said eradication of poverty was something only Modi could do and not Rahul Gandhi and the Congress president should not dream about becoming Prime Minister. “Eradication of poverty is Narendra Modi’s work, not Rahul Gandhi’s it is not something he can do. Rahul Gandhi should not dream about becoming Prime Minister,” he said. “As long as there is a Narendra Modi wave in the country, how can Rahul Gandhi become the prime minister?” he added.